Red Jacket 410140-019 is a 72"-102" Alcohol Gas Submersible Turbine Pump designed for alternative fuels: Ethanol or Methanol concentrations up to 100%. Red Jacket 410141-019 is a 74.5" - 105" Alcohol Gas Submersible Turbine Pump designed for alternative fuels: Ethanol or Methanol concentrations up to 100%. 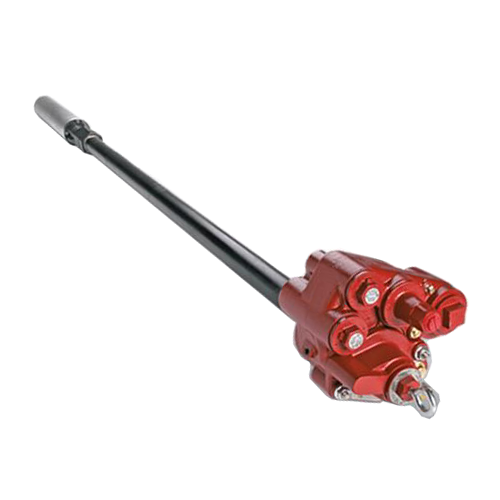 Red Jacket 410141-001 is a 74.5" - 105" Submersible Turbine Pump designed for Diesel, 100% Gasoline, 80% Gasoline with 20% TAME, ETBE, or MTBE, Gasoline with up to 15% Ethanol or Methanol. Red Jacket 410141-020 is a 104.5" - 165" Alcohol Gas Submersible Turbine Pump designed for alternative fuels: Ethanol or Methanol concentrations up to 100%. Red Jacket 410142-002 is a 108.5"-168.5" Submersible Turbine Pump designed for Diesel, 100% Gasoline, 80% Gasoline with 20% TAME, ETBE, or MTBE, Gasoline with up to 15% Ethanol or Methanol. Red Jacket 410140-001 is a 72" - 102" Submersible Turbine Pump designed for Diesel, 100% Gasoline, 80% Gasoline with 20% TAME, ETBE, or MTBE, Gasoline with up to 15% Ethanol or Methanol. Red Jacket 410143-002 is a 105.5"-165.5" Submersible Turbine Pump designed for Diesel, 100% Gasoline, 80% Gasoline with 20% TAME, ETBE, or MTBE, Gasoline with up to 15% Ethanol or Methanol. Red Jacket 410140-005 is a 104.4" - 164.4" Submersible Turbine Pump designed for Diesel, 100% Gasoline, 80% Gasoline with 20% TAME, ETBE, or MTBE, Gasoline with up to 15% Ethanol or Methanol. Red Jacket 410141-002 is a 104.5" - 165" Submersible Turbine Pump designed for Diesel, 100% Gasoline, 80% Gasoline with 20% TAME, ETBE, or MTBE, Gasoline with up to 15% Ethanol or Methanol. Red Jacket 881-769-5 1/3 HP Quick Set Submersible Turbine Pump is used for 100% Diesel, 100% Gasoline, Gasoline with 20% Methanol, Ethanol, TAME, ETBE, or MTBE. Red Jacket 881-772-5 3/4 HP Quick Set Submersible Turbine Pump is used for 100% Diesel, 100% Gasoline, Gasoline with 20% Methanol, Ethanol, TAME, ETBE, or MTBE. Red Jacket 881-773-5 3/4 HP Quick Set Submersible Turbine Pump is used for 100% Diesel, 100% Gasoline, Gasoline with 20% Methanol, Ethanol, TAME, ETBE, or MTBE. Red Jacket 881-775-5 1.5 HP Quick Set Submersible Turbine Pump is used for 100% Diesel, 100% Gasoline, Gasoline with 20% Methanol, Ethanol, TAME, ETBE, or MTBE. Red Jacket 881-776-5 1.5 HP Quick Set Submersible Turbine Pump is used for 100% Diesel, 100% Gasoline, Gasoline with 20% Methanol, Ethanol, TAME, ETBE, or MTBE. Red Jacket 881-777-5 1.5 HP Quick Set Submersible Turbine Pump is used for 100% Diesel, 100% Gasoline, Gasoline with 20% Methanol, Ethanol, TAME, ETBE, or MTBE. FE Petro ISTM-2 2 HP MagShell™ Variable Speed Submersible Turbine Pump is UL and cUL listed for fuel mixtures containing diesel fuel with up to 20% biodiesel, 100% biodiesel, up to 85% ethanol with gasoline, and 20% MTBE, 20% ETBE or 17% TAME with gasoline. 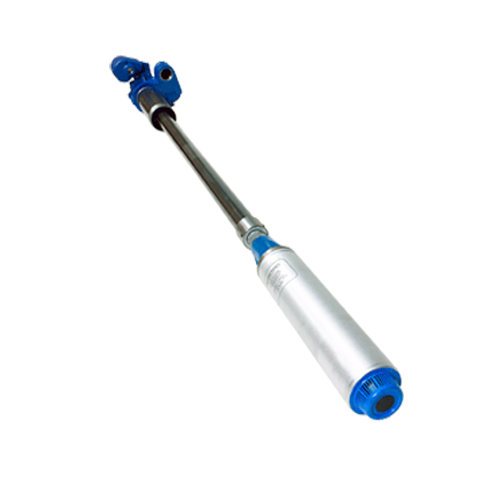 FE Petro ISTM-2R-15 is a 2 HP AG MagShell™ Variable Speed Submersible Turbine Pump. 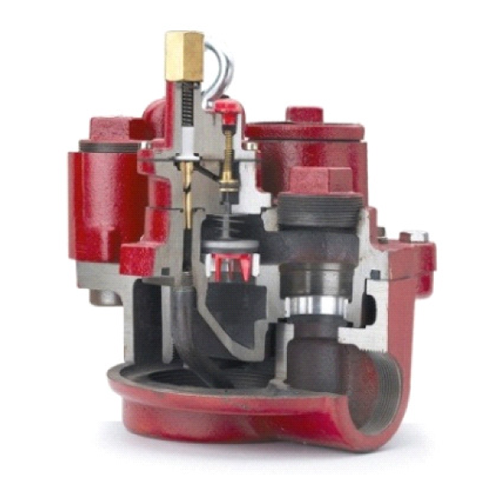 Comes with a check valve, factory installed, for Veeder-Root™ PLLD Line Leak. PE Petro STPMVS2R-VL2 is a 2 HP MagShell™ Variable Speed Submersible Turbine Pump.Comes with a check valve, factory installed, for Veeder-Root™ PLLD Line Leak. Red Jacket 410140-086 is a 72" - 102" Red Armor submersible turbine pump, It is built to last in the harshest corrosive environments created by ULSD and ethanol blends. Red Jacket 410140-087 is a 102" - 162" Red Armor submersible turbine pump, It is built to last in the harshest corrosive environments created by ULSD and ethanol blends. Red Jacket 410140-088 is a 162" - 222" Red Armor submersible turbine pump, It is built to last in the harshest corrosive environments created by ULSD and ethanol blends. Red Jacket 410140-089 is a 74.3" - 104.3" Red Armor submersible turbine pump, It is built to last in the harshest corrosive environments created by ULSD and ethanol blends. Red Jacket 410140-090 is a 104.3" - 164.3" Red Armor submersible turbine pump, It is built to last in the harshest corrosive environments created by ULSD and ethanol blends. Red Jacket 410140-091 is a 164.3" - 224.3" Red Armor submersible turbine pump, It is built to last in the harshest corrosive environments created by ULSD and ethanol blends. Red Jacket 410141-088 is a 74.5" - 105" Red Armor submersible turbine pump, It is built to last in the harshest corrosive environments created by ULSD and ethanol blends. Red Jacket 410141-089 is a 104.5" - 165" Red Armor submersible turbine pump, It is built to last in the harshest corrosive environments created by ULSD and ethanol blends. Red Jacket 410141-090 is a 164.5" - 225" Red Armor submersible turbine pump, It is built to last in the harshest corrosive environments created by ULSD and ethanol blends. Red Jacket 410141-092 is a 106.8" - 167.3" Red Armor submersible turbine pump, It is built to last in the harshest corrosive environments created by ULSD and ethanol blends. Red Jacket 410141-091 is a 76.8" - 107.3" Red Armor submersible turbine pump, It is built to last in the harshest corrosive environments created by ULSD and ethanol blends. Red Jacket 410143-083 is a 75.5" - 105.5" Red Armor submersible turbine pump, It is built to last in the harshest corrosive environments created by ULSD and ethanol blends. Red Jacket 410141-093 is a 166.8" - 227.3" Red Armor submersible turbine pump, It is built to last in the harshest corrosive environments created by ULSD and ethanol blends. Red Jacket 410143-084 is a 105.5" - 165.5" Red Armor submersible turbine pump, It is built to last in the harshest corrosive environments created by ULSD and ethanol blends. Red Jacket 410143-085 is a 165.5" - 225.5" Red Armor submersible turbine pump, It is built to last in the harshest corrosive environments created by ULSD and ethanol blends. Red Jacket 410143-086 is a 77.8" - 107.8" Red Armor submersible turbine pump, It is built to last in the harshest corrosive environments created by ULSD and ethanol blends. Red Jacket 410143-088 is a 167.8" - 227.8" Red Armor submersible turbine pump, It is built to last in the harshest corrosive environments created by ULSD and ethanol blends. Red Jacket 410143-063 is a 78.5" - 108.5" Red Armor submersible turbine pump, It is built to last in the harshest corrosive environments created by ULSD and ethanol blends. Red Jacket 410143-064 is a 108.5" - 168.5" Red Armor submersible turbine pump, It is built to last in the harshest corrosive environments created by ULSD and ethanol blends. Red Jacket 410142-068 is a 170.8" - 230.8" Red Armor submersible turbine pump, It is built to last in the harshest corrosive environments created by ULSD and ethanol blends. Red Jacket 410142-065 is a 168.5" - 228.5" Red Armor submersible turbine pump, It is built to last in the harshest corrosive environments created by ULSD and ethanol blends. Red Jacket 410143-066 is a 168.5" - 228.5" Red Armor submersible turbine pump, It is built to last in the harshest corrosive environments created by ULSD and ethanol blends. Red Jacket 410142-067 is a 110.8" - 170.8" Red Armor submersible turbine pump, It is built to last in the harshest corrosive environments created by ULSD and ethanol blends. Red Jacket 410166-073 is a 42" - 132" Red Armor submersible turbine pump, It is built to last in the harshest corrosive environments created by ULSD and ethanol blends. Red Jacket 410166-074 is a 133" - 168" Red Armor submersible turbine pump, It is built to last in the harshest corrosive environments created by ULSD and ethanol blends. Red Jacket 410166-076 is a 44.3" - 134.3" Red Armor submersible turbine pump, It is built to last in the harshest corrosive environments created by ULSD and ethanol blends. 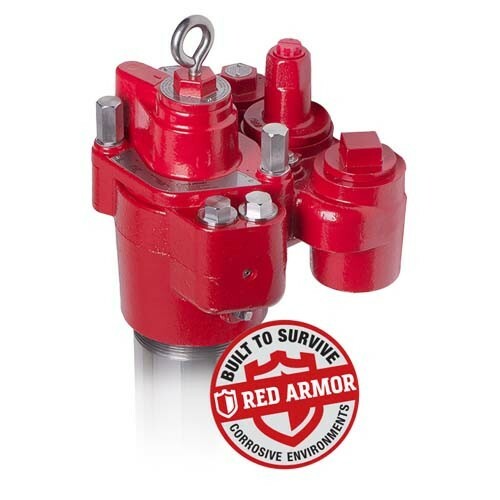 Red Jacket 410166-075 is a 169" - 222" Red Armor submersible turbine pump, It is built to last in the harshest corrosive environments created by ULSD and ethanol blends. Red Jacket 410166-077 is a 135.3" - 170.3" Red Armor submersible turbine pump, It is built to last in the harshest corrosive environments created by ULSD and ethanol blends. Red Jacket 410166-078 is a 171.3" - 224.3" Red Armor submersible turbine pump, It is built to last in the harshest corrosive environments created by ULSD and ethanol blends. Red Jacket 410173-073 is a 45" - 135" Red Armor submersible turbine pump, It is built to last in the harshest corrosive environments created by ULSD and ethanol blends. Red Jacket 410173-074 is a 136" - 171" Red Armor submersible turbine pump, It is built to last in the harshest corrosive environments created by ULSD and ethanol blends. Red Jacket 410173-075 is a 172" - 225" Red Armor submersible turbine pump, It is built to last in the harshest corrosive environments created by ULSD and ethanol blends. Red Jacket 410173-076 is a 47.3" - 173.3" Red Armor submersible turbine pump, It is built to last in the harshest corrosive environments created by ULSD and ethanol blends. Red Jacket 410173-078 is a 174.3" - 227.3" Red Armor submersible turbine pump, It is built to last in the harshest corrosive environments created by ULSD and ethanol blends. Red Jacket 410173-077 is a 138.3" - 173.3" Red Armor submersible turbine pump, It is built to last in the harshest corrosive environments created by ULSD and ethanol blends. Red Jacket 410175-085 is a 46" - 135" Red Armor high pressure submersible turbine pump, It is built to last in the harshest corrosive environments created by ULSD and ethanol blends. Red Jacket 410175-086 is a 136" - 171" Red Armor submersible turbine pump, It is built to last in the harshest corrosive environments created by ULSD and ethanol blends. Red Jacket 410175-087 is a 172" - 225" Red Armor submersible turbine pump, It is built to last in the harshest corrosive environments created by ULSD and ethanol blends. Red Jacket 410175-088 is a 48.3" - 137.3" Red Armor submersible turbine pump, It is built to last in the harshest corrosive environments created by ULSD and ethanol blends. Red Jacket 410175-089 is a 138.3" - 173.3" Red Armor submersible turbine pump, It is built to last in the harshest corrosive environments created by ULSD and ethanol blends. Red Jacket 410175-090 is a 174.3" - 227.3" Red Armor submersible turbine pump, It is built to last in the harshest corrosive environments created by ULSD and ethanol blends. Red Jacket 410174-049 is a 49" - 138" Red Armor submersible turbine pump, It is built to last in the harshest corrosive environments created by ULSD and ethanol blends. Red Jacket 410174-050 is a 139" - 174" Red Armor submersible turbine pump, It is built to last in the harshest corrosive environments created by ULSD and ethanol blends. Red Jacket 410174-051 is a 174.9" - 227.9" Red Armor submersible turbine pump, It is built to last in the harshest corrosive environments created by ULSD and ethanol blends. Red Jacket 410174-052 is a 51.3" - 140.3" Red Armor submersible turbine pump, It is built to last in the harshest corrosive environments created by ULSD and ethanol blends. Red Jacket 410174-053 is a 141.3" - 176.3" Red Armor submersible turbine pump, It is built to last in the harshest corrosive environments created by ULSD and ethanol blends. Red Jacket 410174-054 is a 177.2" - 230.2" Red Armor submersible turbine pump, It is built to last in the harshest corrosive environments created by ULSD and ethanol blends.